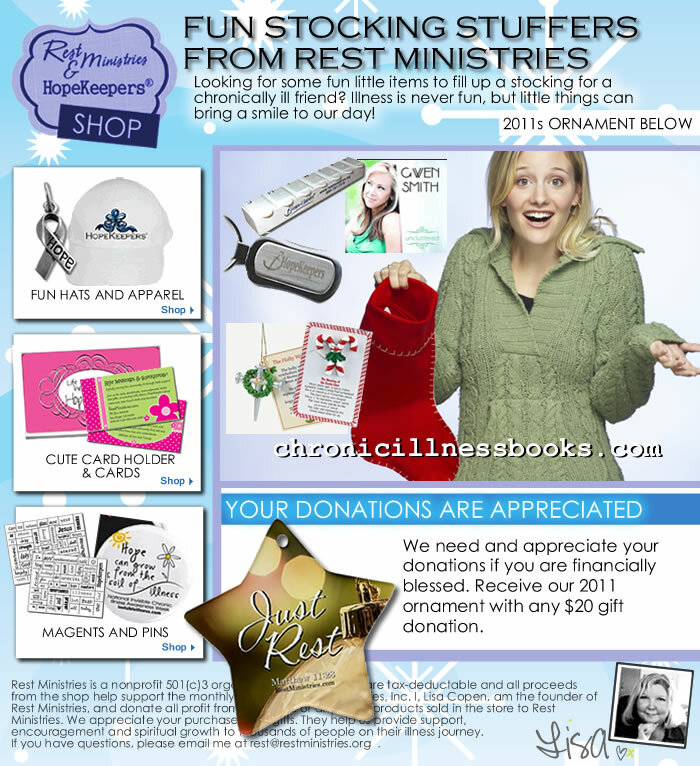 Rest Ministries Shop Flyer: It is okay to rest! Filed Under: RM Shop E-flyers, What's New? 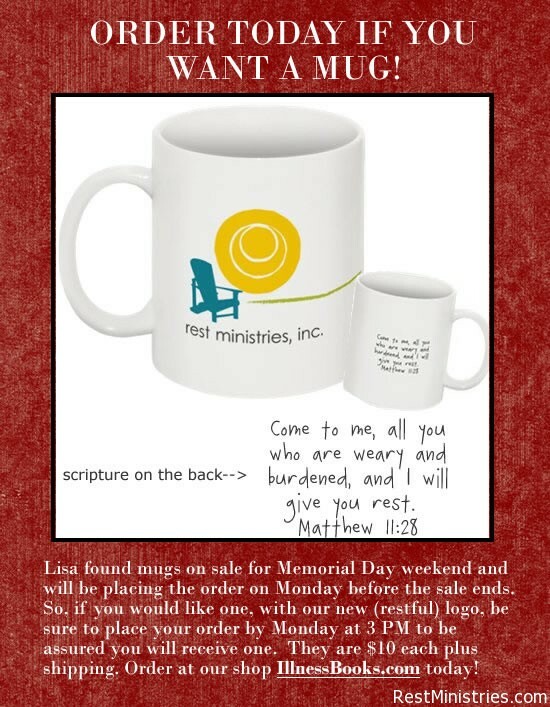 Rest Ministries is Having a Sale In Our Shop! 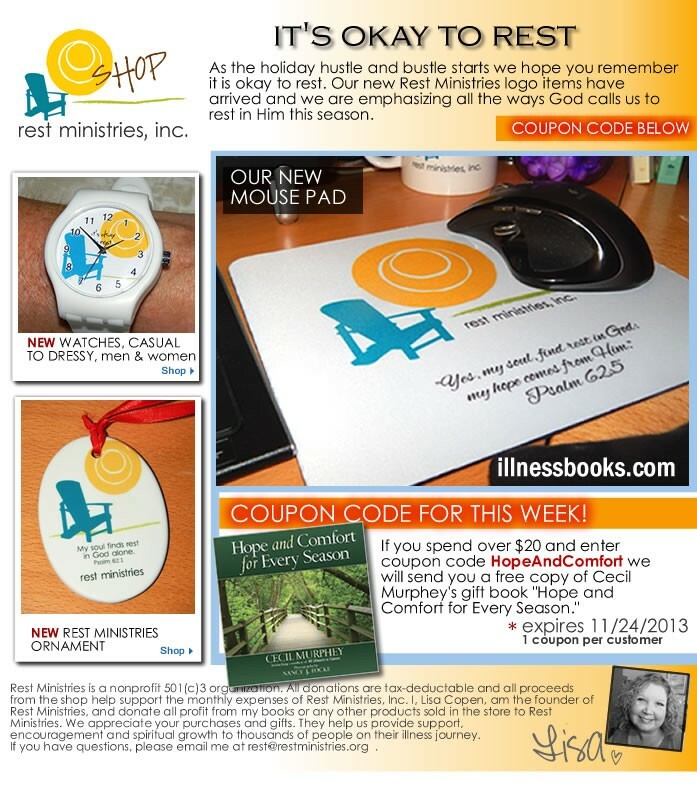 Filed Under: Coping Skills, RM Shop E-flyers, What's New? Filed Under: Announcements, RM Shop E-flyers, What's New? 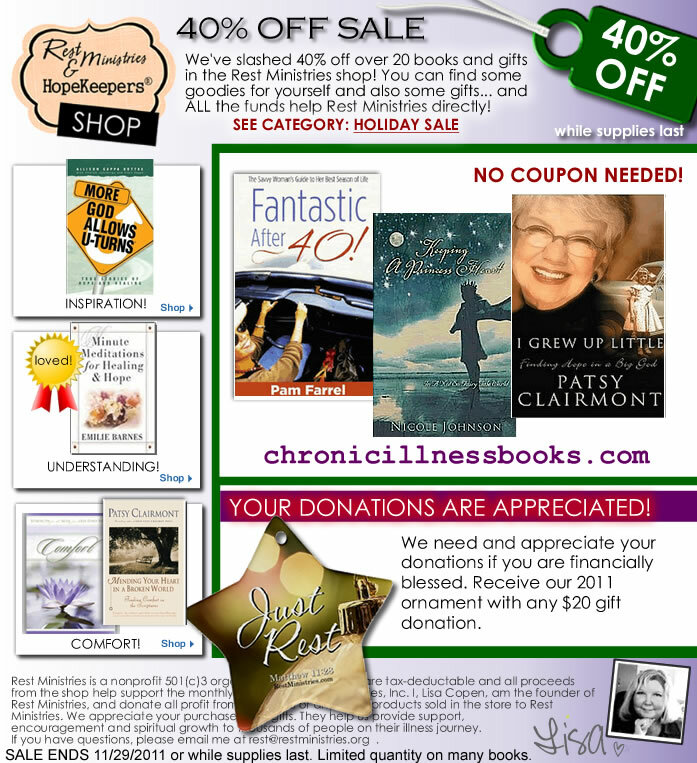 Filed Under: Articles, Links, RM Shop E-flyers, What's New?